The Foothills area has always been popular with home buyers who enjoy living near the Sandia Mountain Foothills because of the views and the recreation opportunities. There are four areas to choose from, each one with a slightly different lifestyle to offer. 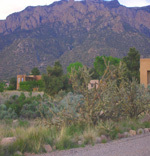 Sandia Heights is located east of Tennyson and North of San Antonio to the Bernalillo County Line. 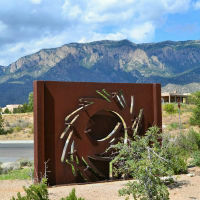 Natural Southwest topography abounds in the foothills of Sandia Heights with breath-taking views of the city lights. Enjoy the many custom adobe homes on large lots, several neighborhood parks, and walking trails. 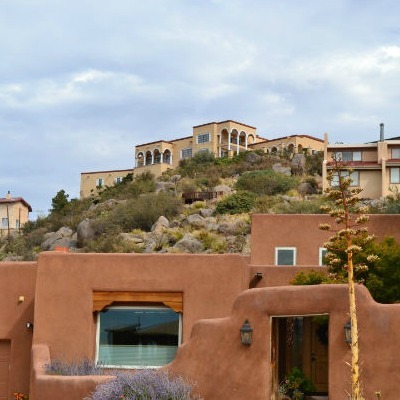 Home sales in Sandia Heights have averaged $446,000, ranging from $199,000 to $1,125,000. Foothills North is located east of Tramway, between Montgomery and Academy, and includes part of Glenwood Hills as well as High Desert which has several gated communities. This area features unique Southwestern architecture by builders such as Rutledge Homes and Scott Patrick and has convenient access to the foothills open spaces, including Elena Gallegos Park, miles of walking trails, and numerous shopping strips within easy reach. Home sales in Foothills North have averaged $483,000, ranging from $230,000 to $1,350,000. Foothills South is located east of Tramway, between Montgomery and Central. Nestled in the base of the Sandia Mountains, you will enjoy city views and convenient access to numerous hiking trails, yet still have accessibility to major employers and shopping. Many homes border to national forest or open spaces in this diverse mix of single-family and condo living. Home sales in Foothills South have averaged $263,000, ranging from $105,000 to $442,000. 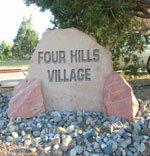 Four Hills is bounded by Central and Tramway, and by Kirtland Air Force Base and the Foothills. The Four Hills area is minutes away from Kirtland Air Force Base (KAFB) and Sandia National Labs with country club living and an award-winning golf course. Development began with the first home in 1957 and continues with new construction today. Home sales in Four Hills have averaged $295,000, ranging from $182,000 to $527,500.